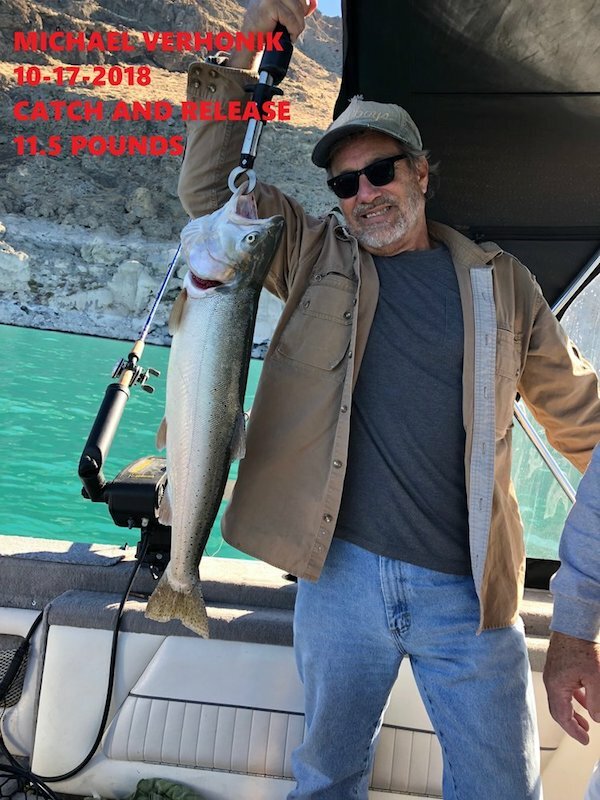 Catch and release of 11.5 Cutthroat for Michael Verhonik. The staff from Crosby Lodge checked in today with an update from Pyramid Lake in Sutcliffe, NV. 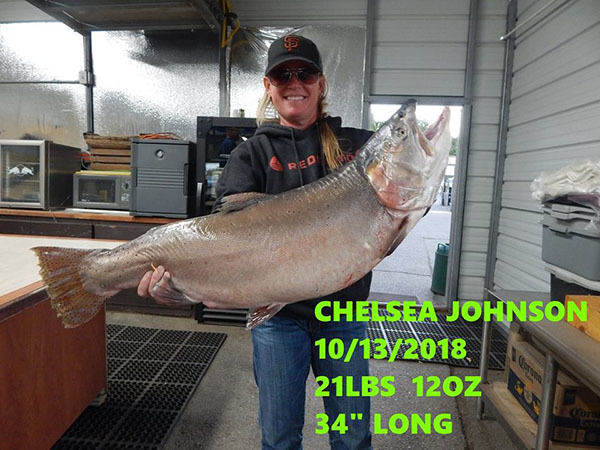 Check out the three photos taken at Pyramid Lake on October 17, 2018. 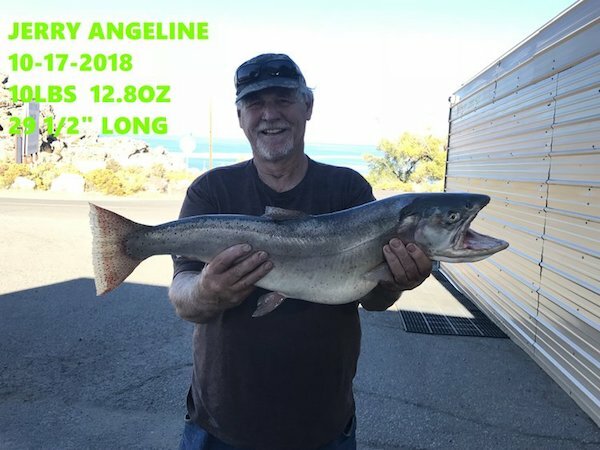 Jerry Angeline 29.5" long Cutthroat weighed 10.8 pounds. 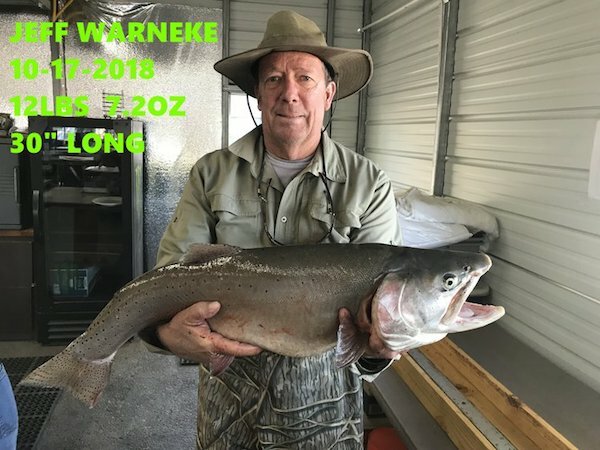 Jeff Warneke caught this 12.45 pound Cutthroat measuring 30" long.